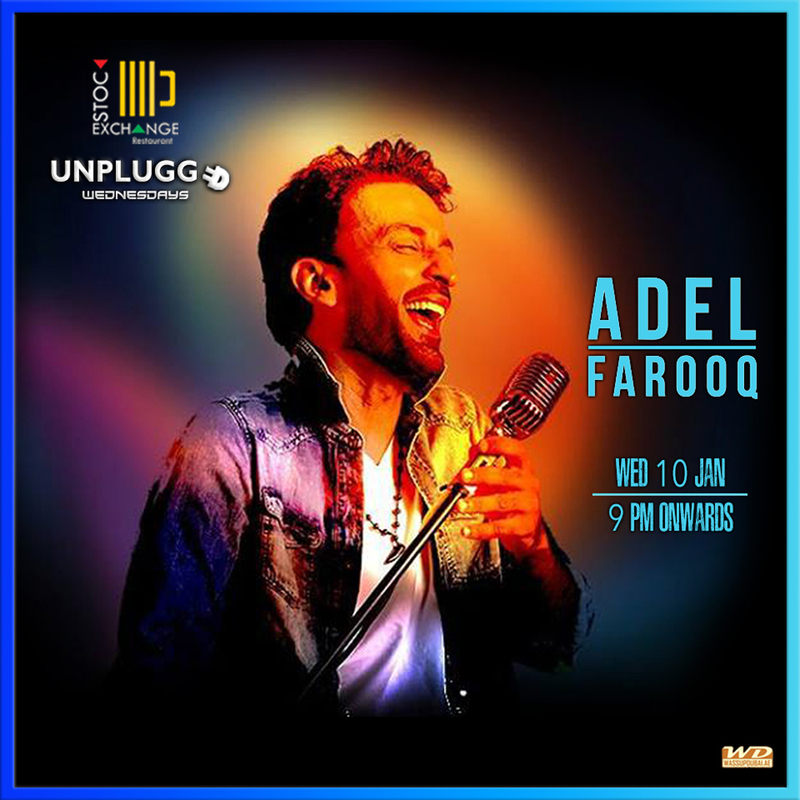 Adel Farooq Live at Unplugged Wednesdays on 10th January 2018 at Stock Exchange Restaurant (Roda Al Murooj, Downtown Dubai - Opposite Dubai Mall). Event starts 9 pm onwards. For table reservations call 052 675 9985.